Getting married in Hawaii is big business. 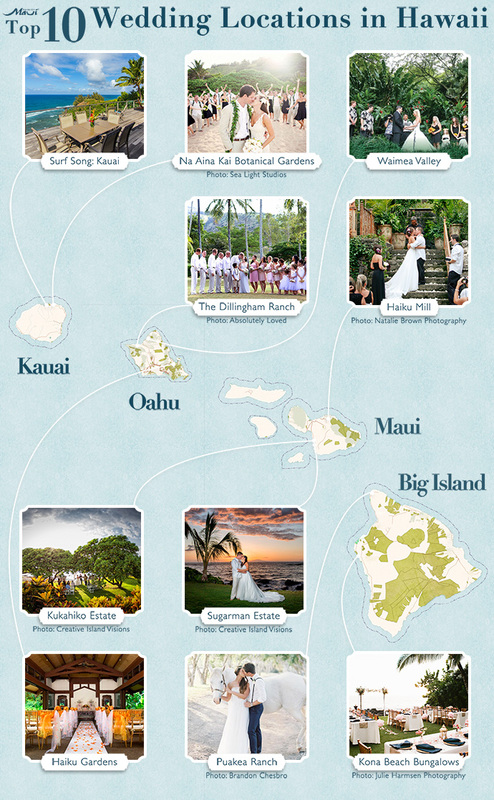 In the state of Hawaii, we have over 20,000 weddings per year. 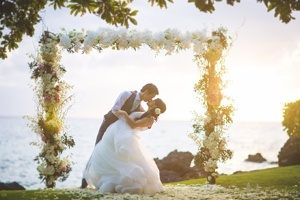 The good thing about a Hawaiian wedding is that you can have it as small as just the happy couple or you can find a venue that accommodates hundreds. 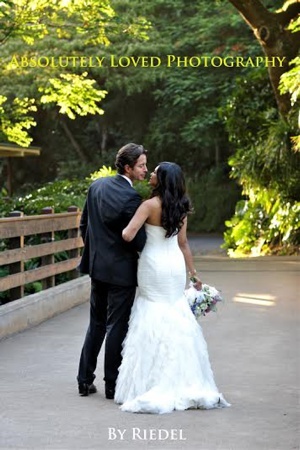 With so many options the difficulty is figuring out which location is the right one for your special day. There are beautiful beaches on each island where ceremonies take place with the purchase of a permit, but most don’t have changing rooms, facilities, or a place to hold the reception. All beaches are public, so you cannot host a reception on the beach even if you wanted to. And in some cases, you cannot even put chairs on the sand for your guests. So, if decide that you want a beach wedding you will most likely have to find a different venue for the reception unless you decide on a private estate that has beach access. Besides churches, and there are some beautiful ones, Hawaii has hundreds of hotels and resorts where a couple can vow to love one another for life. Most of the resorts are lovely settings but not very private. For the purposes of this article, I am going to focus on venues that are not either of those. 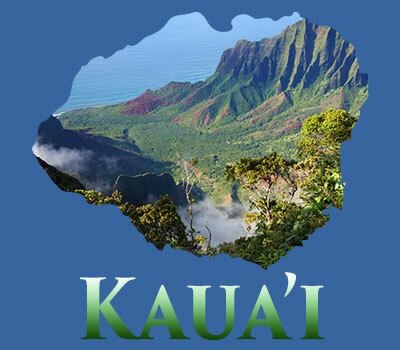 KAUAI is called The Garden Isle so it stands to reason that this island has a number of breathtaking gardens. The Na Aina Kai Botanical Gardens is not an inexpensive place to hold your wedding but it is unbelievably versatile. There is a residence where your caterer can prepare the meal. So, this spot is a good choice for the reception. Indoors or outdoors depending on your vision. Besides gorgeous gardens, this Na Aina Kai has waterfalls, meadows, forest, beaches on the ocean, and lagoons. It is a photographer’s dream venue. Located on the North Shore this fantastic place is perfect for a memorable wedding with just the two of you or up to two hundred. 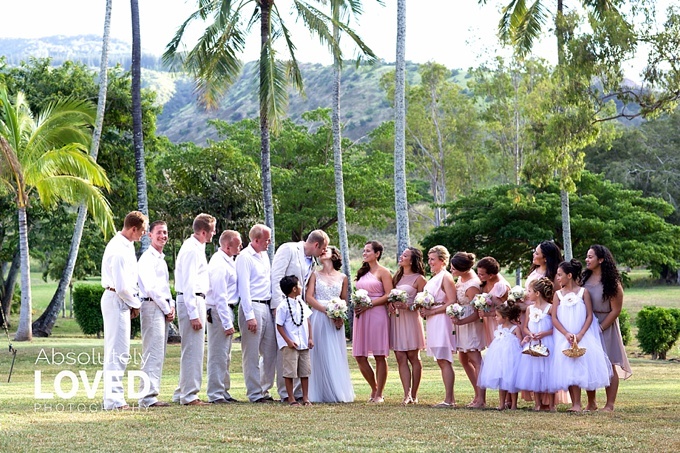 Surf Song in Princeville is the perfect place for a small wedding ceremony and reception of 10 to 20 people. The ocean views from each room are spectacular. The 2300 sq. ft. nicely appointed home is located on a quiet private cul de sac and sleeps up to 10 people. The 1200 sq. ft. lanai overlooks the beautiful blue ocean where sea turtles (honu), dolphins, and during whale season Humpback whales frolic. 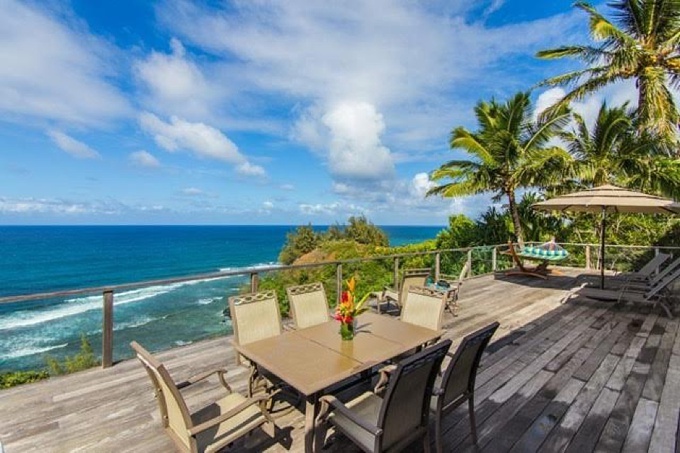 There is a small sandy beach just below this private vacation rental property located in one of the nicest vacation destination areas of Kauai. 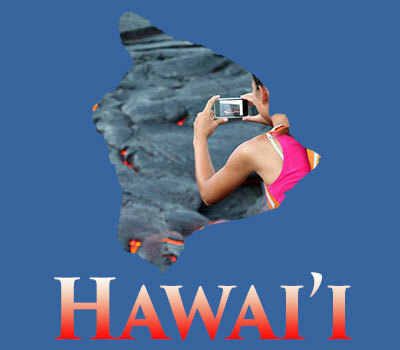 The Big Island of HAWAII is known as much for its volcanoes and beaches as it is for the beautiful ranch land. 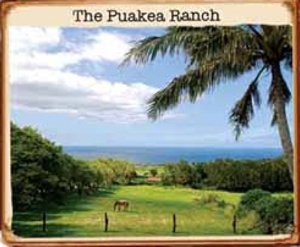 In Hawi, on the Kohala Coast the Puakea Ranch is the perfect place to get hitched on an authentic restored plantation era ranch. Surrounded by ancient lava rock walls the ranch has historic guest houses, vast lawns, rolling green hills, ocean vistas, beautiful gardens and giant trees. For something a little different in terms of photography, the ranch has friendly white horses and oversized old timey swings that are wonderfully unique to Puakea. There are several small cottages on the property so you can do the wedding reception and honeymoon right there! The Kona Beach Bungalows are five luxury vacation houses on the same oceanfront estate in Kailua-Kona where your wedding party can stay and enjoy the festivities too. You can rent one or more or all five! The estate has a lava rock saltwater pool and Jacuzzi with a lushly landscaped yard that overlooks the ocean. It can accommodate up to 34 overnight guests. The location has a fabulous view of the sunset so it would be a great spot to tie the knot as the sun goes down. 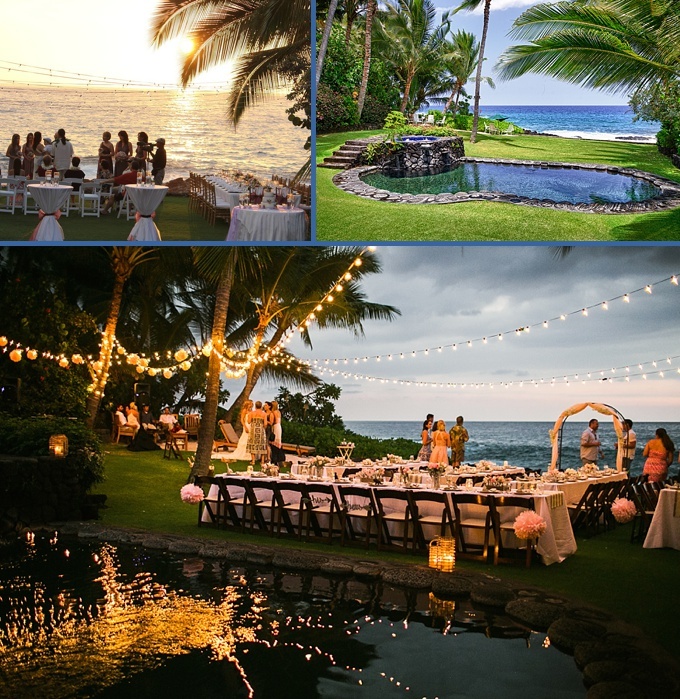 MAUI has resorts, churches, lavender fields, botanical gardens and sandy beaches but if your heart is set on a location where you can have the wedding and reception on the water there are several estates that you should consider. One of my favorites is The Kukahiko Estate in Makena. It is family owned for generations with a two bedroom house and fantastic kitchen for your caterer’s use. The patio or lanai area can be used for a dance floor or you can have your reception there. This location is exotic and the scenery absolutely stunning. 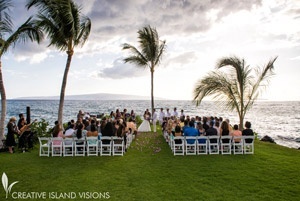 Whether you want to say your vows on the rocky beach or the expansive grassy lawn both with the ocean right there, and neighbor islands in the distance you can do so without all the sand getting in the wrong places. If you decide to get married during whale season (mid-December through mid-April) you might be surprised by extra special guests showing up in your photos. 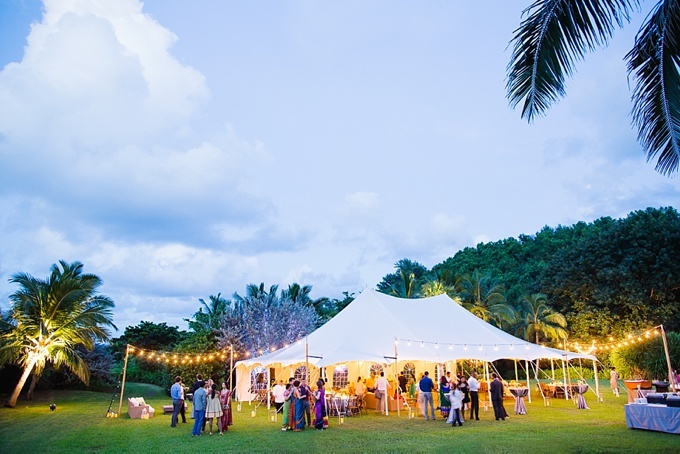 Kukahiko Estates is perfect for a smaller wedding and after party in the same place. 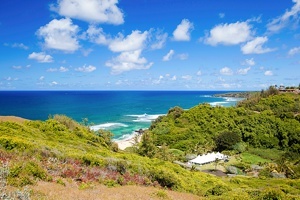 The other estate on a beach is the Sugarman Estate also known as Honua Kai Lani. 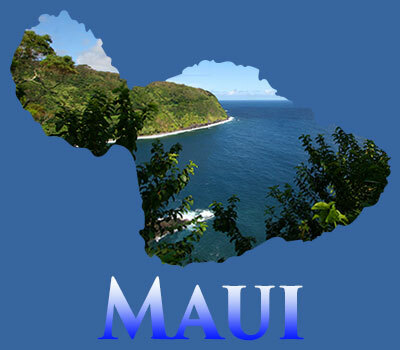 It too is also located in South Maui but it is much larger than the Kukahiko’s. With a larger lawn there are several areas to choose where you would like your wedding and reception set up. The unobstructed views of the ocean with Kahoolawe and Molokini are beyond beautiful. Rented by the day this 3.5 acre estate includes a 4 bedroom house for pre-ceremony necessities. 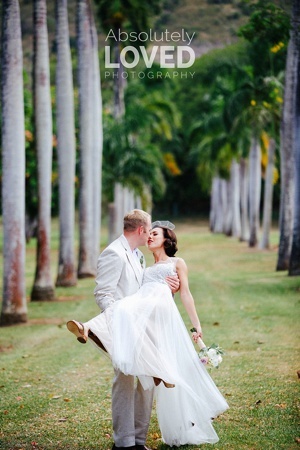 For a non-beach Maui wedding you should check out the Haiku Mill. This is an unbelievable more than a century old historic site. There is old world charm oozing out of every corner of the incredible setting. The ruins of an old sugar mill that was abandoned and left behind were transformed into an elegant European style courtyard with chandeliers and delightfully hand selected French antique décor. This is another location where you can happily combine the wedding and reception for up to 120 seated 150 guests cocktail style. There is also a sweet little shabby chic cottage furnished with a flair reminiscent of by-gone days, its available for pre-ceremony preparations. 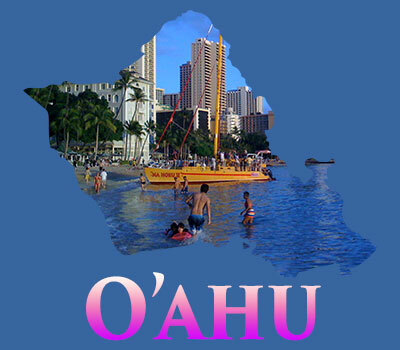 OAHU has the majority of the state’s population by far and first time visitors to Hawaii usually go there. So, it makes sense that the largest number of wedding venues would be there as well. This fact makes it very hard to choose which ones to recommend, but since we are not looking at resort venues that narrows it down. First of all, who even knew that Oahu had ranches much less ranches that host weddings? Yes, it’s true. 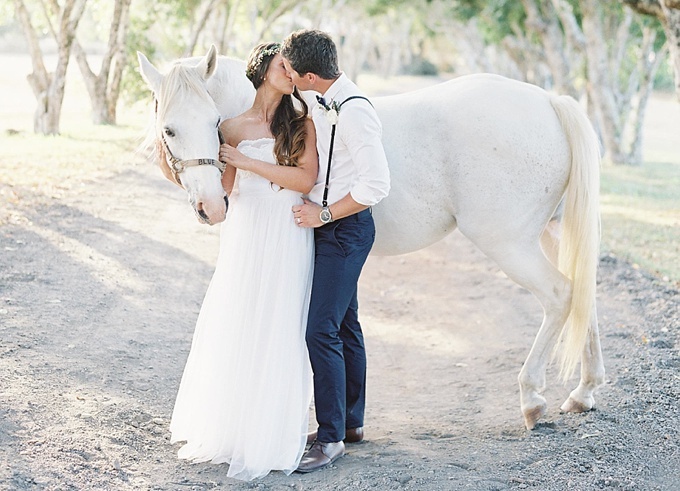 There are several beautiful ranches where couples can tie the knot. Most are 45 minutes from Waikiki. One in particular is The Dillingham Ranch on the north shore in Mokuleia, which is near Haleiwa. Haleiwa is known for surfing, shark cage diving and people jumping out of airplanes. 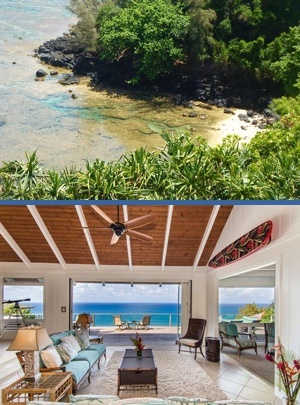 Dillingham Ranch which is 19 acres of oceanfront land and extends to the ridge line adjacent to the Mokuleia Forest Reserve and the Waianae Mountains, offers views of Kaena Point and spectacular views of the famous surfing beaches. This location gives couples a multitude of choices for private and picturesque nuptials and a tented reception. 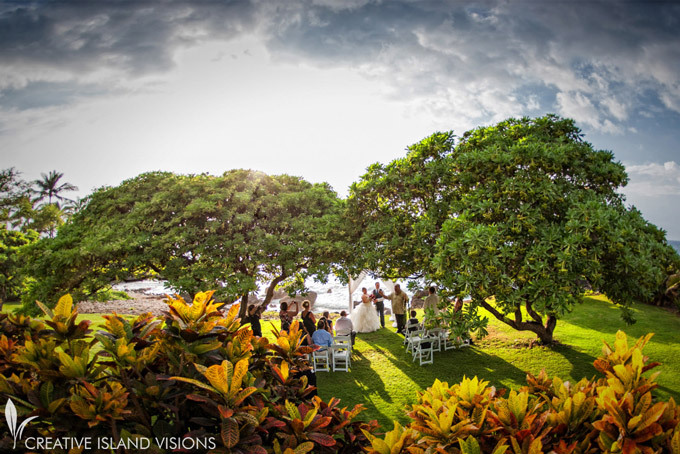 For a truly magnificent location that is spacious and private with several options of where to set up for the ceremony Haiku Gardens in Kaneohe is worth checking out. Besides lush colorful tropical gardens there is a Tahitian chapel on the grounds that is perfect for couples who would be too stressed worrying about weather. You can set up inside or outside and if the weather doesn’t cooperate you have a back-up location. The wedding coordinator works with you to fit your budget and to eliminate the stress of planning a wedding. 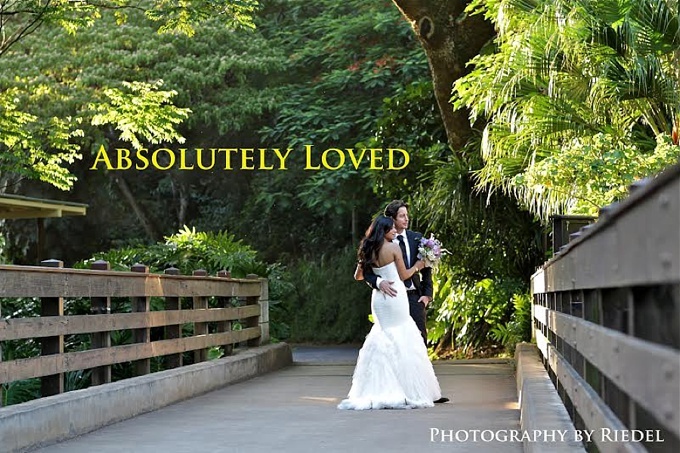 The venue is part of Haleiwa Joe’s which is an award-winning restaurant set against the backdrop of the Ko’olau Mountains, which provides a beautiful setting for your wedding and reception, (all receptions are held in the restaurant). Also on the North Shore is Waimea Valley. Deeply rooted in Hawaiian history this breathtaking location has world class botanical gardens, ancient archaeological sites on 1,875 acres of sacred land. 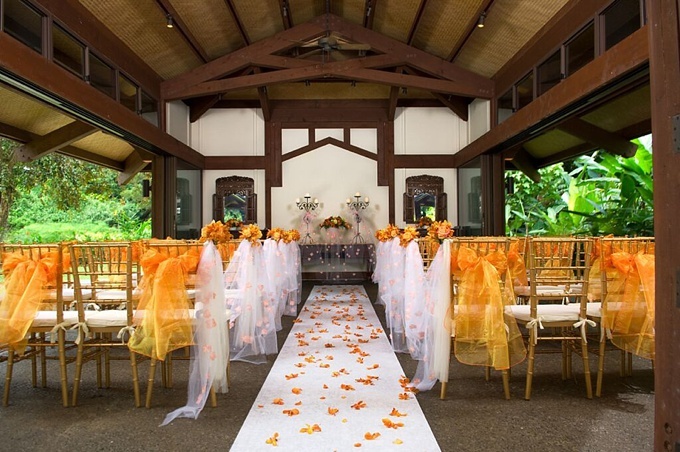 There are a number of wedding and reception sites to choose from such as; a spectacular waterfall; two meadows; a pavilion; a main lawn; two covered open air sites; and one indoor lanai. 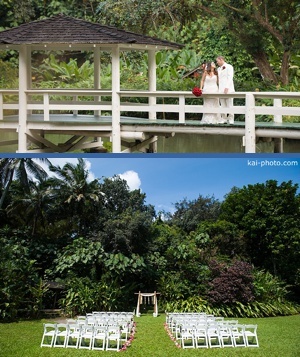 So depending on your preference and the size of your guest list there is a location at Waimea Valley for you. Each island has wedding coordinators who will make your dream wedding a reality. They will take the stress out of the process and walk you through each step. In fact, all but Surf Song have their own coordinators who are well connected and have made many brides and grooms very happy. 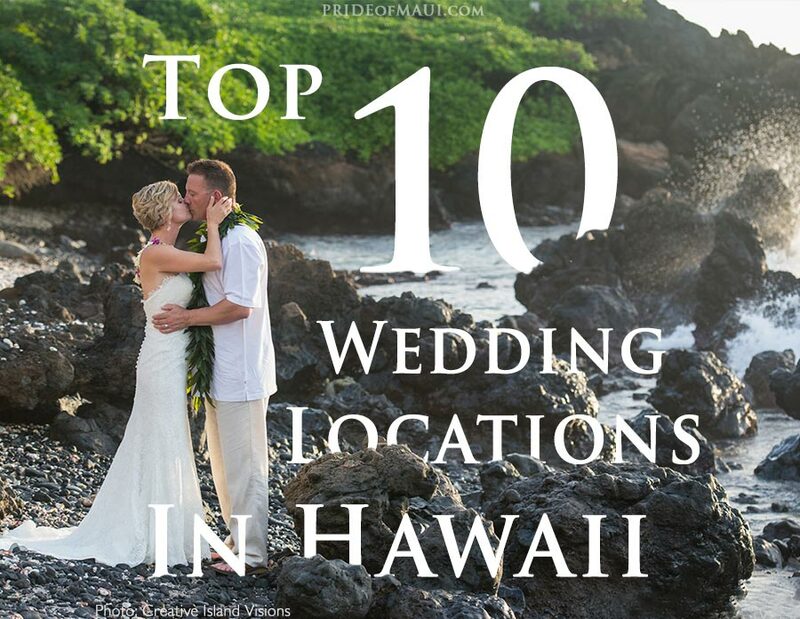 Mahalo for reading our list of the Top 10 Wedding Locations in Hawaii! 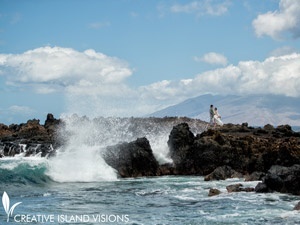 Where is your favorite wedding location in Hawaii? Let us know in the comments below.